I was delighted when FIRE SPORT UK approached Sprue Safety Products to continue sponsoring the national pairs event. Since we became the leading supplier of smoke alarms to the Fire and Rescue Service in 2006, with our Fire-Angel brand of alarms, we have recognised the importance of supporting sporting events enjoyed by fire-fighters nationally. At the most fundamental level these sporting events have clear wellbeing benefits to the fire-fighters that take part and help to position the Fire and Rescue Service as an active organisation encouraging people to lead healthier lives. These sporting fixtures also have an important role to play in raising morale and maintaining a sense of healthy competition in an ever challenging working environment. We wish all competitors the best of luck in this year’s competition. 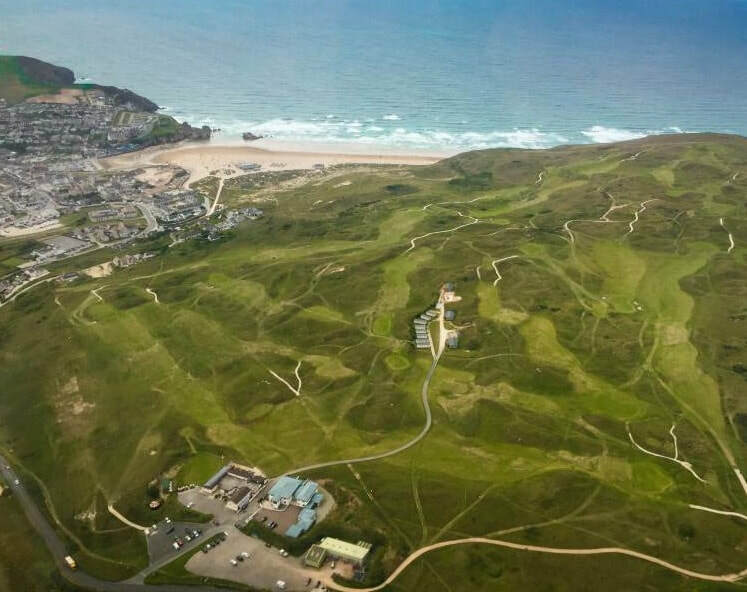 One of the finest links courses in the South West, Perranporth boasts spectacular panoramic views throughout this championship course. With stunning views over the sea and the extensive golden sands below, few courses are better placed than this. So, pause a moment on the 5th and 14th tees and take in the truly spectacular scenery of which you could never tire. Taking advantage of the natural contours of the landscape means that James Braid, course designer, was successful in creating each hole with its own individual demands and character. Not only this, but the greens which are fast and absolutely true have a reputation for being amongst the best in the South West. At 6296 yards this exciting par 72 is a challenge for both high and low handicappers. It is a course you will want to return to play time and time again.